How to get rid of squirrels in Charleston, South Carolina! First thing to think about when dealing with any wildlife issue in your home or business is to determine what animal is causing the issue. Noises in an attic or wall can be very difficult to discern. Many animal make noises and each has there own distinct noise. Raccoons that live in the attic or chimney area make an entirely different noise than say a rodent such as a squirrel living in the attic or chimney space. Raccoons are a larger bodied animal and tend to make more hollowed noises or thumps with occasional scratching noises in the chimney or attic. 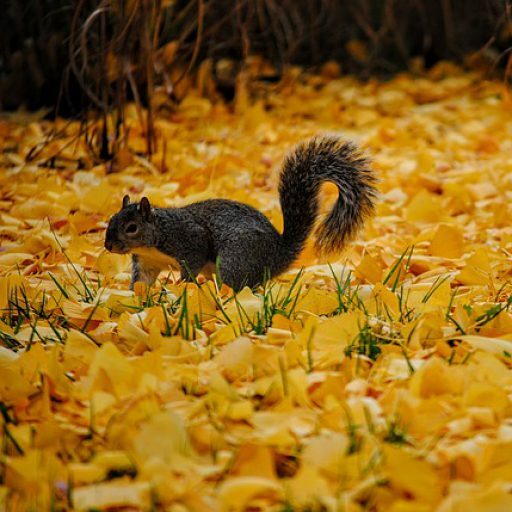 Where as rodent such as rat, squirrel, flying squirrels make a lot of racket as well as scratching noises in the walls, ceiling, chimney and floor boards of a house or building such as a business, warehouse and home. With that being said let us look at each animal and figure out why the wild animal is there in the first place. This makes it easier when your local wildlife removal control agent is called to remove the wildlife concern. When rodents such as mice, rat and squirrels are concerned it good to think about why they decided your home is a good place to live. I have seen super clean homes with rodent issues! cleanliness is not always a factor. Rodents such as mice, rat and squirrels desire three things to survive! If a rodent has these three point of harbor, the rodent will make a stake at taking over the area. The rodent can not differentiate the difference between a barn and a house as long as these three key aspects are available to them. Rat control and Rodent control can be delivered in multiple ways. Most pest control companies implore pesticides and rat poison to alleviate the issue. Although both measures are effective they only treat the issue and eventually the issue will happen again and again, not to mention with poisons there is the chance the rodent or rat, squirrel or flying squirrel will ingest the poison and die in your walls, ceiling or even under your house leaving an very strong odor that can make it difficult to reside in and even make it impossible to sleep in. The smell of dead rats, mice, squirrels and flying squirrels can be a difficult thing to live with! Below are a few questions we hear as wildlife removal experts in Charleston, South Carolina and all are answered simply by hiring a competent Charleston, SC Animal Control agent. How do squirrels get into my home? How do I get rid of a dead animal? How do I get rid of a dead animal in my wall or under my house? How do I get rid of a dead raccoon in my attic? How do I get rid of the noises in my attic? How do I get pest control? Who do I call for pest control in Charleston, SC? Who do I call for Animal Removal in Charleston, SC? How do I get rid of rats in my house? Does a rodent issue cause a snake issue? We cover all of Bonneau SC, Bonneau Beach SC, Goose Creek SC, Hanahan SC, Jamestown SC, Ladson SC, Moncks Corner SC, Pinopolis SC, Russellville SC, Saint Stephen SC, Sangaree SC, Charleston SC, Awendaw SC, Folly Beach SC, Hollywood SC, Isle of Palms SC, Kiawah Island SC, Lincolnville SC, McClellanville SC, Meggett SC, Mount Pleasant SC, North Charleston SC, Ravenel SC, Rockville SC, Seabrook Island SC and Sullivans Island SC. In Charleston South Carolina snakes are found just about everywhere. From the farm Lands of Charleston South Carolina to the city streets in Atlanta, snakes can be found. Just because you live in the suburbs doesn’t mean you won’t run into a snake in the yard or even in your garage. 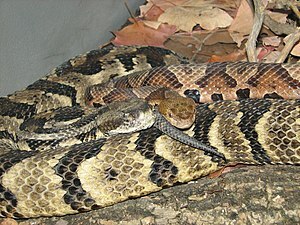 In the Charleston South Carolina suburbs most snake bites occur when working in the landscaping or the pruning of ground cover shrubs and bush. It is always good to wear gloves and pay attention to the area your are working in. Most snakes will try their best to avoid you if you give them the chance. snake was there to begin with. The Rat Snake or Black Snake are typically the most frequent calls a Charleston South Carolina wildlife control expert receives. The rat snake can enter a home and live in the attic, basement or crawlspace for extended periods of time due to the fact that they do not need the sun digest their food. 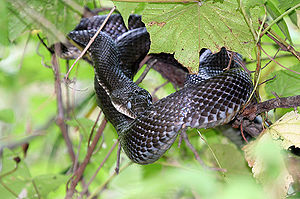 Rat snakes are usually are non aggressive unlike the black racer which can be very aggressive . Coral snake can also be found in the state of Charleston South Carolina. The Wildlife Professionals can Remove Snakes in Bonneau SC, Bonneau Beach SC, Goose Creek SC, Hanahan SC, Jamestown SC, Ladson SC, Moncks Corner SC, Pinopolis SC, Russellville SC, Saint Stephen SC, Sangaree SC, Charleston SC, Awendaw SC, Folly Beach SC, Hollywood SC, Isle of Palms SC, Kiawah Island SC, Lincolnville SC, McClellanville SC, Meggett SC, Mount Pleasant SC, North Charleston SC, Ravenel SC, Rockville SC, Seabrook Island SC and Sullivans Island SC.